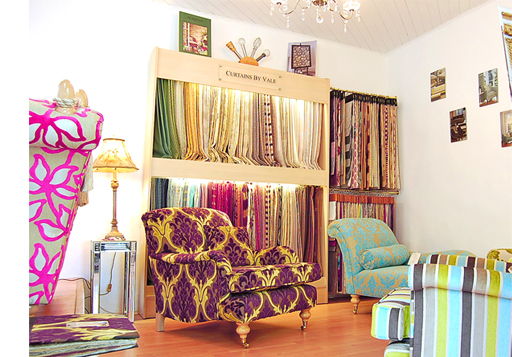 Vale Upholstery was established in 1976 by Frank Halliday. A family run business specialising in re-upholstery, new upholstery, loose covers, curtains, blinds and soft furnishings. It is now being run by his son Nigel Halliday and his wife Julie for the past 22 years. Vale Upholstery is now into its third generation of the same family with Luke our son working along side us training in all aspects of the trade fast becoming a craftsman after his father. Between us we have over 45 years experience in the trade. 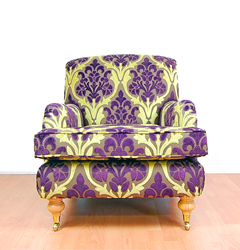 We always encourage customers to come and view their sofas or chairs being re-upholstered or made from new on site. All work is manufactured in house at our workshop. We do not sub-contract to any one else unlike many other upholstery firms. 99% of our work is recommendation and repeat customers, we pride ourselves on our high quality craftsmanship. Our service and workmanship is second to none, we have customers who had their suites re-covered over twenty years ago coming back again. It’s wonderful that our son, who as a toddler would watch his father, is now a craftsman himself re-upholstering the very same suite. Why not give Vale Upholstery a chance to transform your home, we can do the complete transformation from re-upholstery, new upholstery, loose covers, curtains, pelmets, blinds. Supply and fit curtain poles and tracks, to wallpaper and heritage paints by Sanderson, Morris & co and Designer Guild.